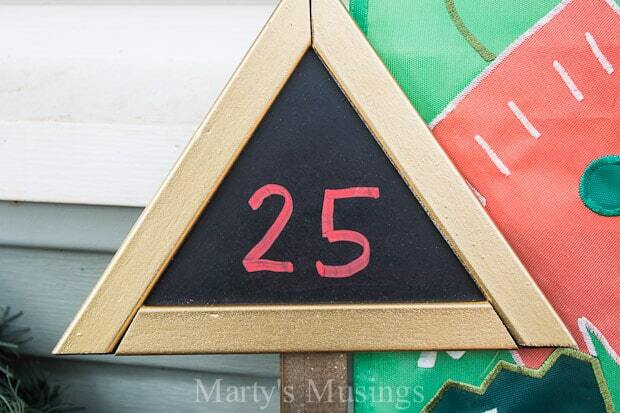 This Christmas countdown made from scrap fence board, chalkboard and Behr Paint will help entertain the kids during the long march to Christmas Day. Do you believe you’re a creative person? Do you feel more comfortable with a plan and a schedule? I would normally say yes to both questions, but juggling family responsibilities (homeschooling, church, etc.) and work deadlines is teaching me so much about myself! I seem to be living on the edge lately with the blog. 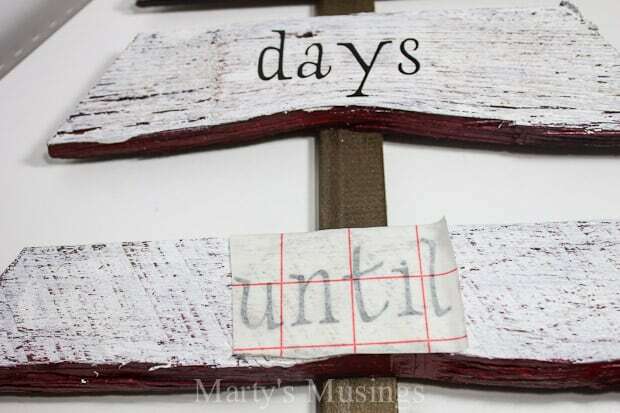 My 31 Days to a Beautiful Home series in October about did me in! My oldest daughter says I never used to procrastinate. I still try not to, but there are only so many hours in the day. Sleep may be overrated but even with insomnia I still like to get a little bit of shuteye! 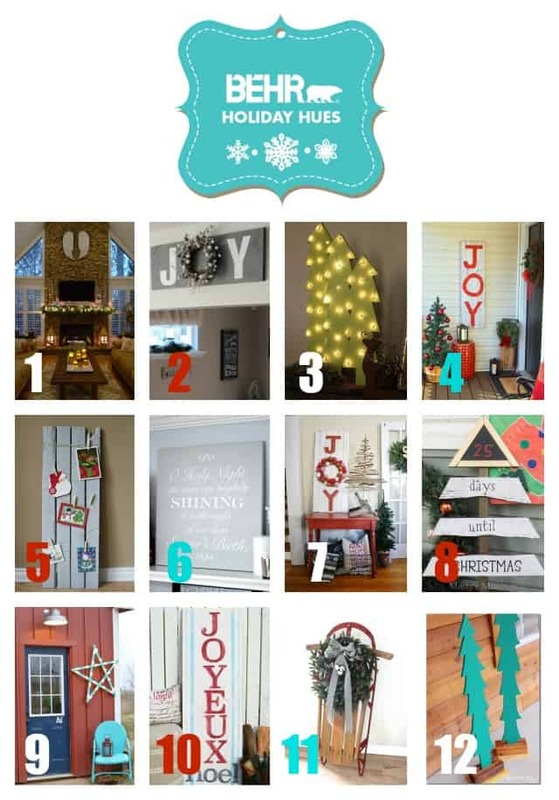 I am so happy to be joining with my 11 fellow Behr Paint brand ambassadors as we whip up a DIY project (mine is a Christmas countdown) using our favorite paint and a bit of imagination. Talk about pressure! These ladies are rock stars! And that’s where I got stuck! This project took a couple of different turns, my great idea fizzled out, and I was challenged to pull it all together under the wire. That would be the living on the edge part! Thankfully it all worked out and I can share this cute project with you today. You know how my DIY hubby and I love a good fence board project. We love to repurpose and use what we already have. 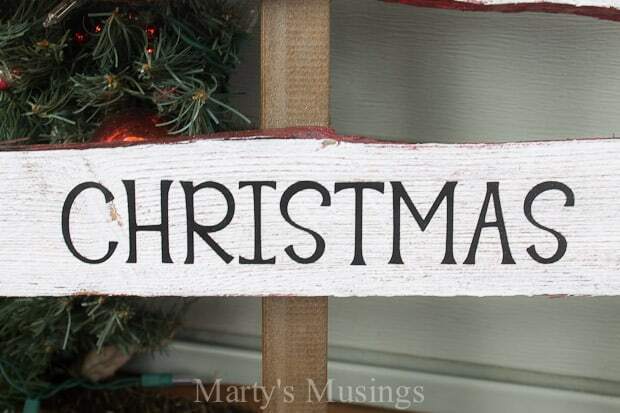 For this fence board chalkboard Christmas countdown I knew I wanted to use some of our Behr paint (and you know we have it in every color, including purple and yellow!) and some other scraps. 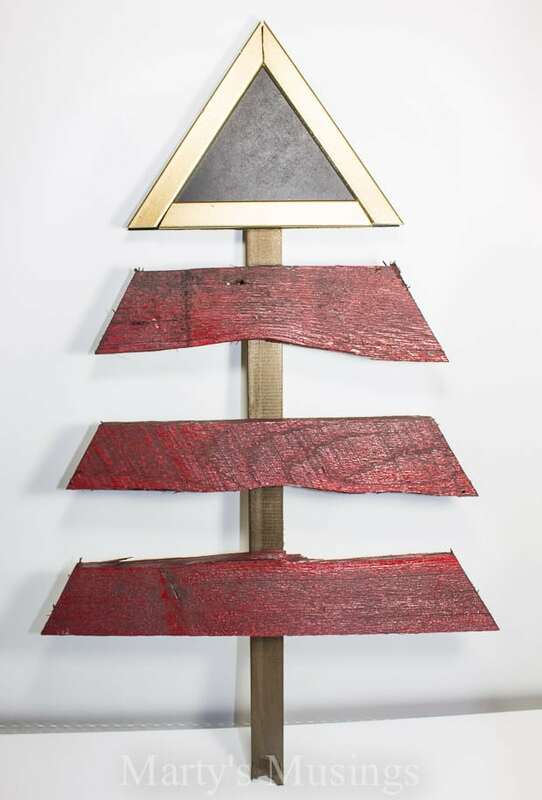 Tim scrounged around and found some scrap tempered masonite that he cut for a topper for the tree and then spray painted with black chalkboard paint. 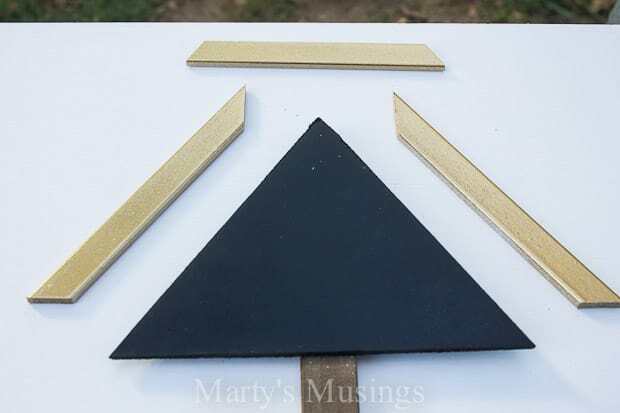 He took some scrap trim pieces, made a frame and spray painted them gold. The fence board was spray painted green and red with white speckles and that didn’t turn out so hot. Next step was red spray paint which was fine since I was going to use my white Behr paint with a stencil I made. My solution was to use my Behr paint and brush on a coat of white over the red. 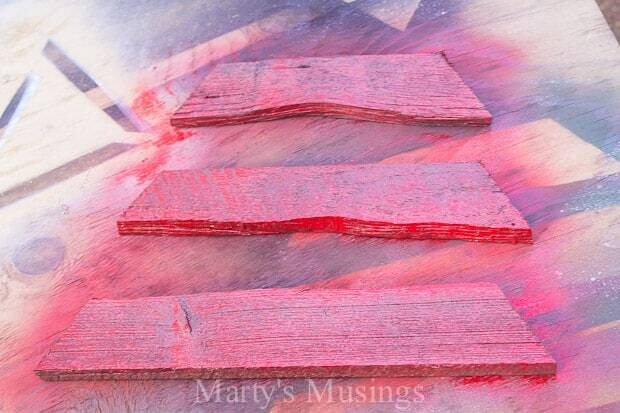 I then took some sandpaper and distressed the boards to show some of the red underneath. Score! I was finally getting somewhere! For the lettering on the fence board I pulled out my trusty Cricut diecutting machine and some black vinyl. I used the Lyrical Letters cartridge for the “days until” set at 1 1/2″ and the Alphalicious cartridge (All Caps) set at 1 1/2″ for the “Christmas” letters. 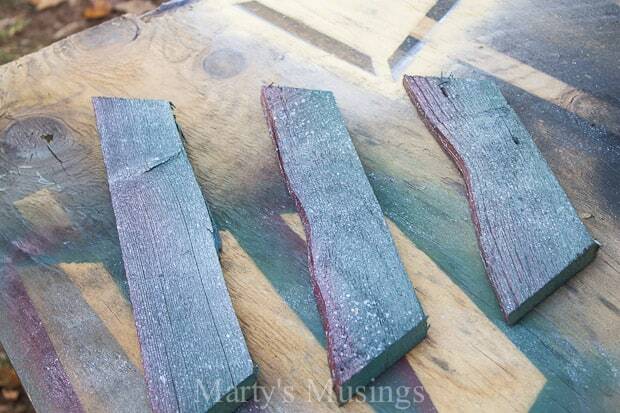 You can find more tips on transferring the letters to the fence board here. This is a great project to hang where the kids can see it and take turns changing the numbers. 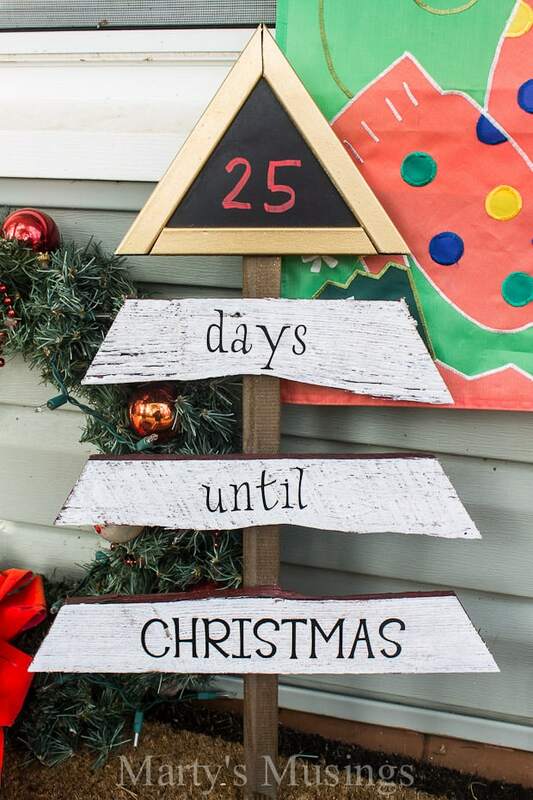 And yes, there are more than 25 days left before Christmas! What do you think? Did I salvage my project and my self esteem? 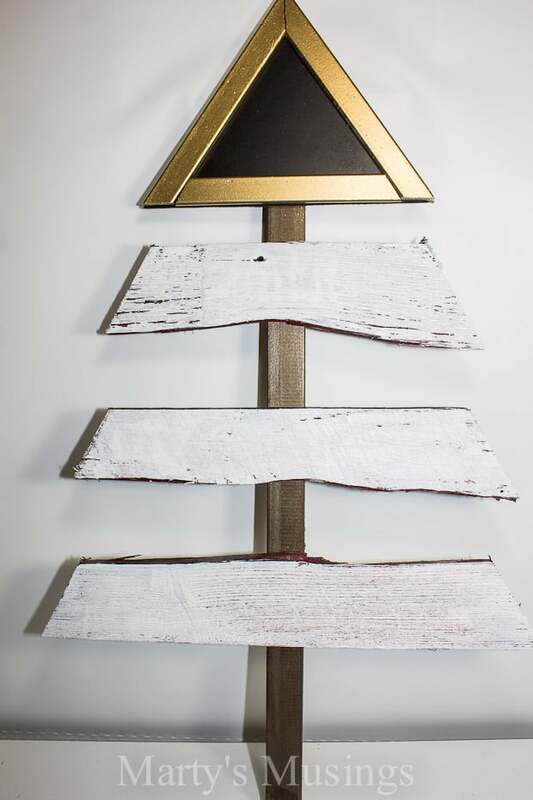 For more fun repurposing projects you can check out my Fence Board Joy Sign and my Scrap Wood Christmas Tree. 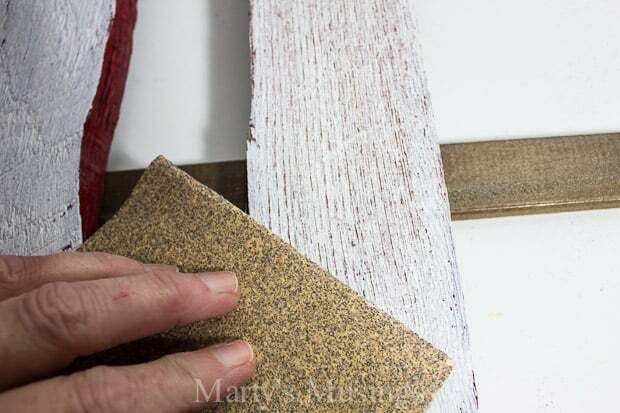 Just click on the links below to see more crafty DIY projects from my fellow Behr DIY Experts. 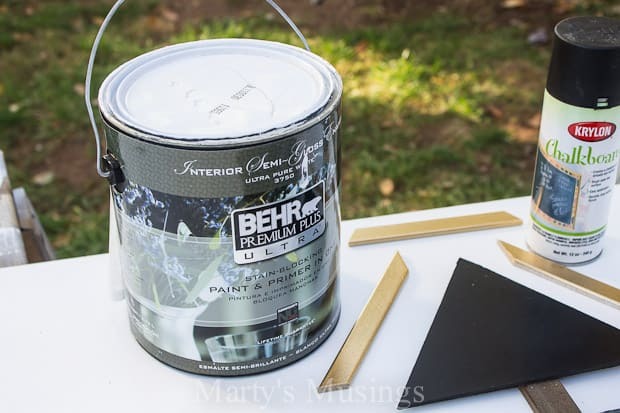 Thank you to Behr Paint who is providing the following prize: Two selected winners will receive 3 gallons of BEHR MARQUEE Interior Paint & Primer in the color(s) of their choice. Disclosure: I was provided with product from Behr Paint but all opinions and projects are my own! I’m so glad I stumbled upon your blog! I love creating and building projects out of pallets and old wood, so of course I loved this tree as soon as I saw it. It’s so unique and perfect and I love that you turned in into a Christmas countdown. Thanks so much for the inspiration! Thanks for the sweet compliment, Katie! I’m glad you liked the project. It’s perfect for little kids because you know they get impatient with the holidays! Marty – it turned out great! I love the white over the red and the chalkboard part at the top is awesome. Great project! Thanks, Kim! I appreciate all your hard work in getting us all organized! Hey, Robin! I don’t really like pushing it to the wire but it seems like that’s the only way to juggle so many different projects! I’m a little overcommitted right now but I’m learning to work under pressure. Oh boy! Love ‘ya! The Christmas countdown turned out PERFECT Marty!!! I love it! Thanks so much, Christine! It was doing the blog hop with the girls! LOVE this count down!!! SO cute & GREAT save! I LOVE all the colors in the Opulence line!!! Thanks, Chelle! We’re counting down to Christmas here in NC! Thanks, Vanessa! 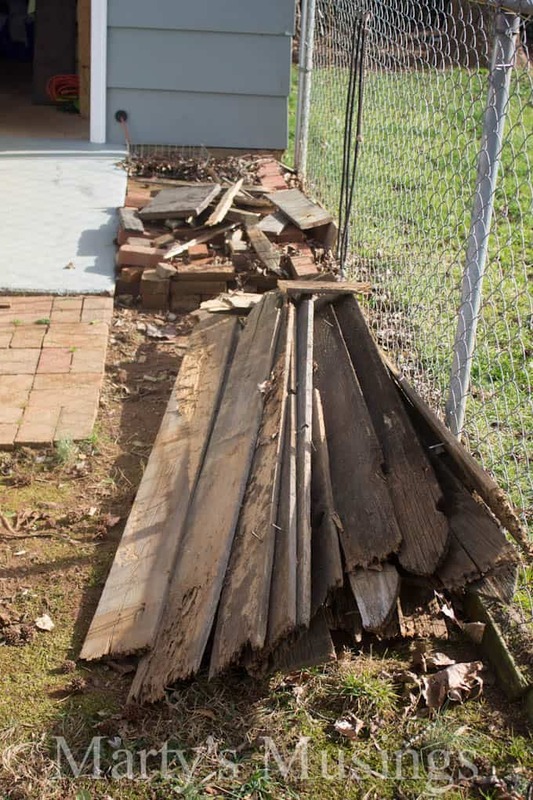 We love a good fence board project!